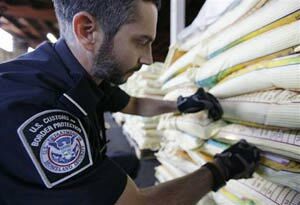 The complexities of clearing U.S. Customs can be a tedious and stressful process due to ever changing government rules and regulations, time constraints, and documentation requirements. You can rely on our experienced and knowledgeable staff to keep you informed and compliant. Rest assured your shipments will be cleared efficiently, accurately, and timely thus reducing or eliminating additional charges such as rail storage and demurrage. At Willmar International we’ll take care of everything so you can get back to selling your products and taking care of your customers. As a certified Remote Location Filing (RLF) broker, we are able to electronically submit all data information associated with your shipments directly to US Customs, and clear your cargo at any port of entry in the United States. This means you will receive the convenience of having one point of contact in our central office, regardless of where your shipments are arriving. And your staff and trade partners will have 24/7 access to shipment details and status in real time, keeping everyone in the loop. And of course, our experienced Import Specialists will classify and clear your cargo properly in order to avoid potential fines and penalties. We are licensed, in compliance with applicable OGAs (other government agencies), and have the interfaces and technologies required to seamlessly import your goods. Contact us so we can learn more about your shipping needs and share how we can ensure that your cargo is cleared accurately.